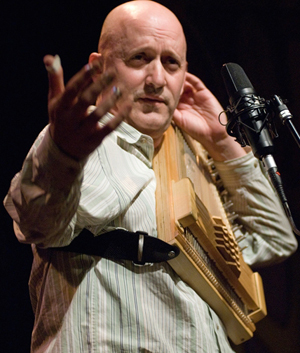 Evo Bluestein is known for his music on many instruments but he has a special connection to the autoharp. Perhaps the highest recognition of this is his 2009 induction into the Autoharp Hall of Fame. In addition to helping many adults learn music on the autoharp for over thirty years, children in numerous schools have learned to play and sing using the autoharp in programs that Evo has implemented. 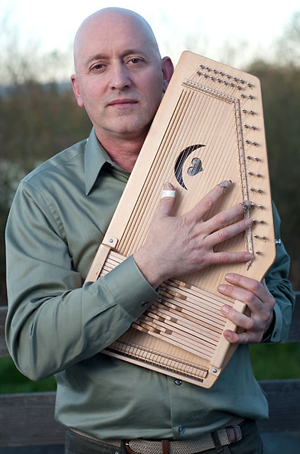 In response to the terrific reviews of his rendition of (Troubles) on the Autoharp Legacy CD, Evo completed an album of songs and tunes, titled, Off the Top. Evo is also an accomplished dance caller, teaching folk dance as an independent contractor throughout California schools and a co-founder of the California Autoharp Gathering.